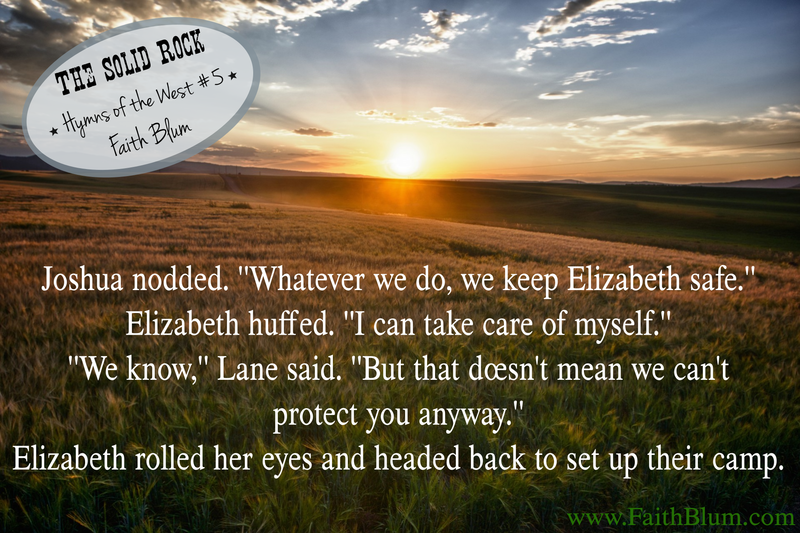 I am excited to be part of this blog tour for a new Christian Western! 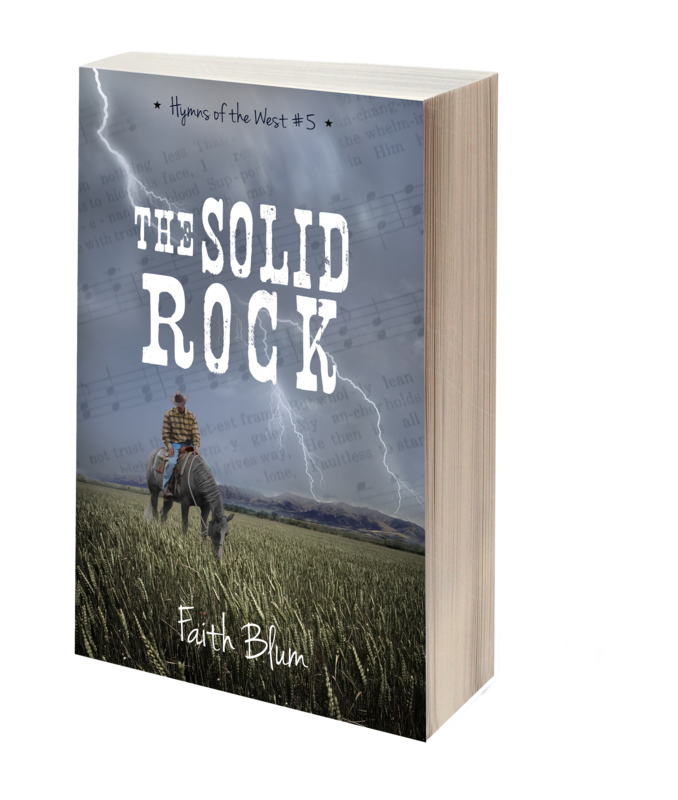 Faith Blum joins us today to talk about her new release, The Solid Rock. It is about a talented detective with a mission to find his kidnapped colleague who finds himself working undercover with a heinous outlaw who has more plans than first meet the eye. Joshua woke with a quiet groan. As his senses woke up one at a time, he cracked his eyelids open. Sure enough, there was a silhouetted form standing at the foot of the bed. From the smell, the person was either from the brothel down the street or had recently left one. You can also preorder a paperback copy here for $14.00 plus shipping. Four days later, Joshua and Poseidon left the train to ride the rest of the way to Cheyenne. He took a deep breath and marveled at how different it was from Chicago. He could hardly believe his brother-in-law, Micah, had lived that city for so long. It was so hard to breathe. He mounted his horse and started off in a gentle canter. “Heavenly Father.” Joshua paused and sighed. “You know how heavy my heart is right now. Protect Mr. Harris and give Elizabeth peace. I can’t imagine what it’s like for either of them right now. He dug his heels into Poseidon’s sides as he urged the horse into a gallop. “Yeehaw!” Joshua yelled as he grabbed his hat before the wind stole it. He closed his eyes and relished the whip of the wind brushing his face and blowing through his almost too long hair. The smile on his face couldn’t have been wiped off even if he had wanted it gone. The exhilaration and intense joy he felt was something that could only be found when galloping on a horse in the summer winds. Joshua watched the flat farmland whiz past him, the only things marring the wheat and corn fields being the scarecrows sticking their ugly heads over the waving crops. Joshua laughed as Poseidon splashed through a stream, soaking them both. He rode on a few more hours in silence, listening to nature, meditating on God’s Word and mulling verses around in his head, praising God, praying, and making his way one step at a time closer to Cheyenne. Faith is giving away a full set of paperback books! Fill out this form to earn entries to the giveaway. Each entry gives you one point, plus there are opportunities for bonus entries. 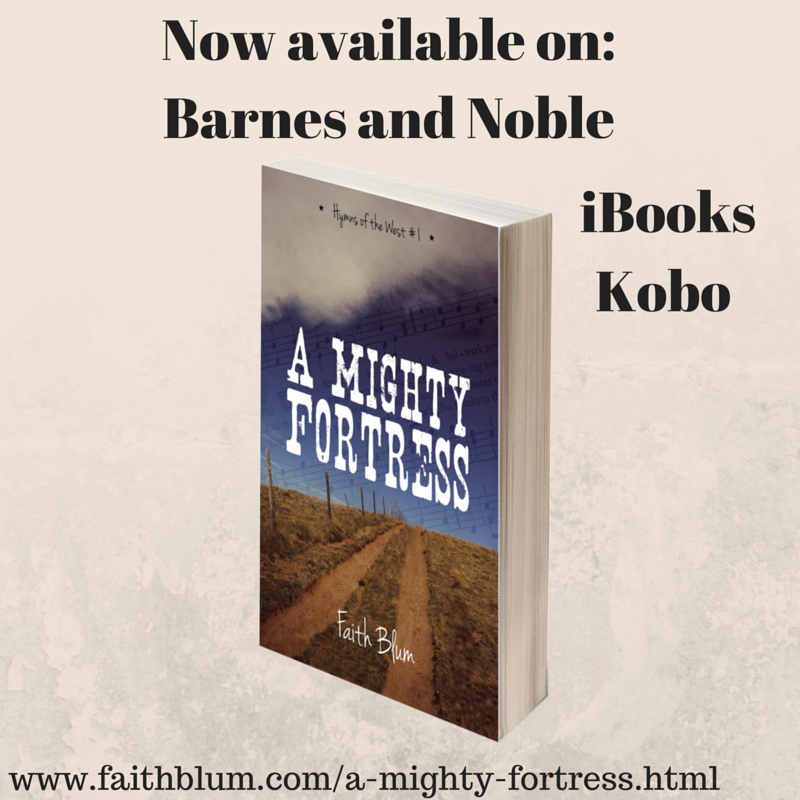 If you haven’t read any of my books and would like to try one for free, I am working on getting A Mighty Fortress available for free on all formats. It is currently free on Barnes and Noble, iBooks, and Kobo. If you also wouldn’t mind helping me get it free on Amazon, I would appreciate that. To help, all you have to do is grab 1, 2, or 3 of the links where it is free and go to AMF’s Amazon page, click on “tell us about a lower price” and submit a link or three. Thank you! To celebrate her release, Faith is holding a Facebook party on March 31st from 2-4 Central time. You can join her and 3 other authors here. There will be fun, games, giveaways, excerpts, and more. Some of the giveaways will stay open through Friday evening, April 1st. Fun fact: the other three authors are all homeschool moms.